Karl Heinrich Marx was a revolutionary German philosopher, who created a strong impact in the world through economics and politics. He played a major role in shaping much of the modern economic school of thought through laying the basis of concept of labor and relating it with capital. Among his numerous published works, the Communist Manifesto and Das Kapital are the most noteworthy. The collective theories of Karl Marx, known as ‘Marxism’ holds the idea that the struggle between the classes is the cause of progress in a society. He stood against the exploitation of the working class by the capitalist factory and land owners. His strong views and ideas were manifested in communism and socialism, the two revolutionary theories which affected the world both socioeconomically and politically. Marx was of the views that the change in human history was caused by altering human nature, involving both the human beings and material things. He assumed that a human has two forms, the actual self and a potential self. Self-development is a process which initiates through the realization that actual self deems the potential self as an object to be improved. Marx debated that the subjective self actualizes the human being by taking the object as its own. Thus, for Marx, human nature was a function of human labor, which he called the ‘species-being’. For the subject to affect the object, it must first have some form of influence on the material world around the subject. ‘Historical Materialism’ is Marx’s philosophy of history, according to which a person should view history dialectically, viewing the changes in material conditions as the means of influence on the society. His views were based on those of Hegel, but differed from his as Marx based dialectics not on ideas like Hegel, but on material. In his publication, ‘Economic and Political manuscript of 1844’, Marx has laid the foundation of his economic analysis. In ‘The Condition of the Working Class in England’, ‘Communist Manifesto’, and ‘Das Kapital’ his views against capitalism found clear expression. Published in collaboration with his colleague Friedrich Engels, Marx differentiated communism from numerous other socialist movements in these books. He presented the struggle of the working class under the rule of the bourgeoisie and gave ideas for social reorganization and unification of the proletariat against capitalists. Observing the worsening conditions of the working class, their long and tedious hours and unsafe environment in the factories, Marx reacted to the capitalist system. He presented an alternative solution, called ‘Communism’, according to which the bourgeoisie will not be able to hold any lands or factories; all means of production will be owned by the government. All the people will work together for the government and the resulting wealth will be distributed among them according to their needs, and not their efforts, thus leading to a classless society. Even though his ideas were largely inspired by the French school of thought of Socialism, he openly criticized all idealistic socialists. He was a revolutionary man, expressing the thoughts that minute socialist groups will succumb to nothingness, without causing significant change in society. He aspired for a grand change in the economic system of his era through an all-encompassing socialist community. 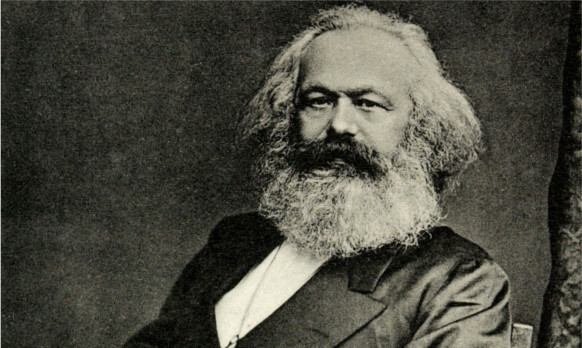 Karl Marx proved to be one of the three most important people who created an impact on the modern social sciences, the other being Max Weber and Emile Durkheim. Various governments in the 20th century laid their foundations on ideas of socialism and communism presented by Marx, such as the People’s Republic of China (1949) and the Soviet Union (1922). Marxism also inspired numerous theories, like Stalinism, Maoism and Leninism.